SINN Féin and the SDLP are at odds over the timing of a unity referendum with republicans arguing that any hardening of the border will reinforce the case for a border poll. 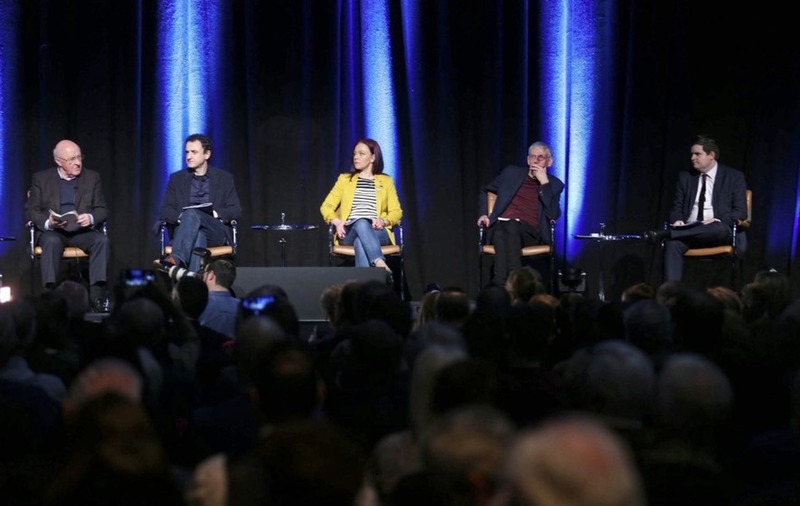 The leaders of both parties were among a number of speakers who addressed an audience of around 1500 at Saturday's Beyond Brexit conference in Belfast's Waterfront Hall. The event was organised by the group of civic nationalists who last November wrote an open letter to Leo Varadkar, calling on the taoiseach to protect the rights of Irish citizens after Brexit. It was signed by more than one thousand lawyers, business owners, teachers and sportspeople. Beyond Brexit event at the Waterfront Hall Picture Mal McCann. 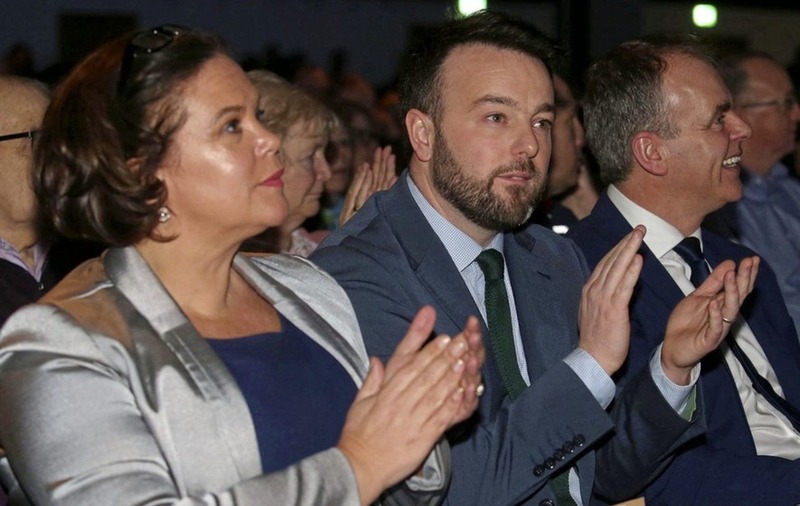 The conference also heard from Fine Gael Education Minister Joe McHugh and Fianna Fáil deputy leader Dara Calleary, as well as a range of nationalist commentators. Sinn Féin leader Mary Lou McDonald, who last year was forced to row back after saying a border poll should be delayed, said crashing out of the EU with no deal would lead to a hardening of the border, prompting increased demand for a vote on Irish unity. She called on the Dublin government to convene a forum in a bid to begin planning for reunification. Mrs McDonald said the British Brexiteers' "policy of isolation" would not be tolerated. "A crash means a hardening of the border and the loss of rights and continued uncertainty and instability – a hardening of the border is inconceivable and will be met with the demand for a unity referendum," she said. The Sinn Féin leader highlighted how Ireland was facing uncertainty and how its fate currently lay "in the hands of a minority Tory government in London". She said it was "irresponsible and arrogant" for the Dublin government to dismiss any prospect of a unity referendum. Mrs McDonald issued a direct message to the unionist community, saying they would "have a home in a united Ireland". "You will have a place at the table, a place at the centre of political life and not left in the margins of Westminster," she said. "The Protestant, loyalist and unionist community are part of the fabric and diversity of our nation and they must be part of the discussion in shaping the new Ireland and be partners in building a new Ireland – our shared and often troubled history can be reconciled." However, SDLP leader Colum Eastwood said now was not the right time for a border poll. He said some unionists were "willing to engage and explore new possibilities" and that they should have nothing to fear from a conversation about Irish unity "based on persuasion and consent". 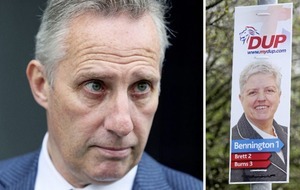 "My appeal to unionism is this – try to convince us of your vision for the future and we'll try to convince you of ours - and then in time let the people decide," he said. The Foyle MLA said any hardening of the border would be a "deliberate violation" of the political process by the British government. 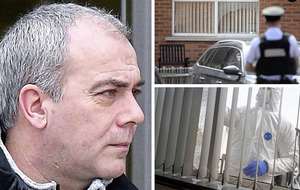 Donegal TD Mr McHugh said it was "imperative" that the peace process was protected. "The impact of Brexit will of course be felt across this island in many different ways," he said. "We are doing everything we possibly can to prepare for and mitigate those impacts." Mr Calleary said Brexit had "consumed" the political systems on both sides of the Irish Sea, meaning other issues had been "minimised and forgotten about". "The issues about health, homelessness, infrastructure, are all relegated. Those are the issues that people's lives are dependant on, yet the energy of politics, the energy of the civil service, has been consumed by this political process," he said. 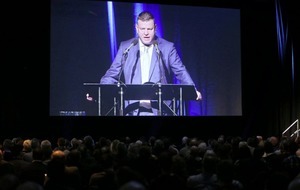 Event co-organiser Niall Murphy criticised the DUP's opposition to an Irish language act, saying the party had a "sneering contempt for parity of esteem". Queens University's Professor Colin Harvey said Arlene Foster's party was "running around Europe" attempting to self-harm the north. 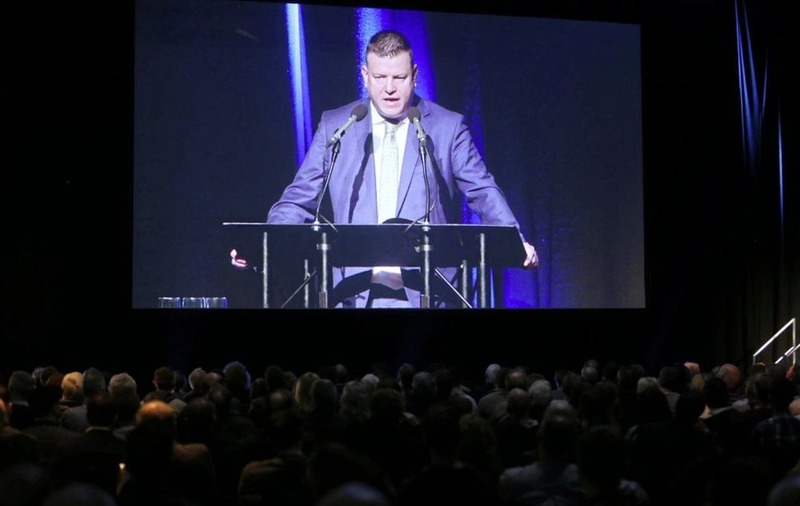 He also defended the event's organisers for not inviting unionists to speak at the conference. "Let me absolutely clear, we apologise to no-one for being here today and having the conversation about the rights of Irish citizens," he said. Irish News columnist Brian Feeney told the audience that Irish citizens living north of the border had been "left behind" by the Dublin government. "We hear all these promises (from the Irish government), we are told: 'You won't be left behind, we are totally committed to this' – warm words – that's all we get," he said.